Tiger Direct is offering a 100-pack of Ultra AA Batteries for $24.99, regularly $69.99. You can use coupon code IJH156034 to get an additional $10 off, making it $14.99. 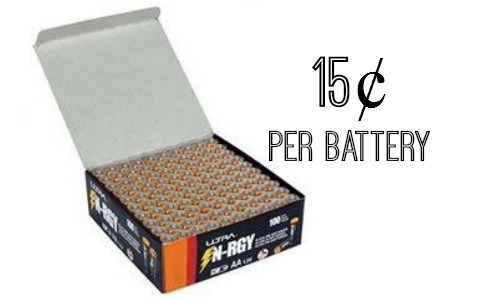 This makes each battery 15¢, and it’s FREE Shipping too! Batteries are always a good thing to have on hand so don’t miss out!